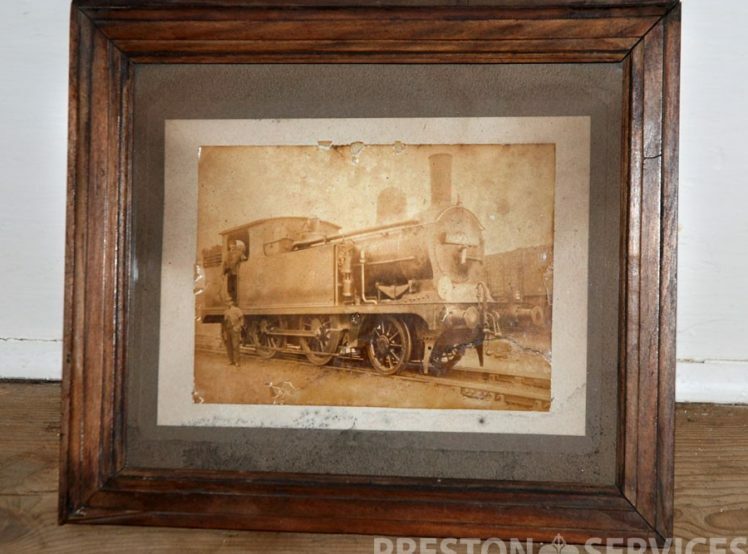 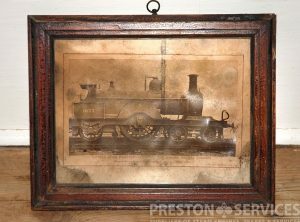 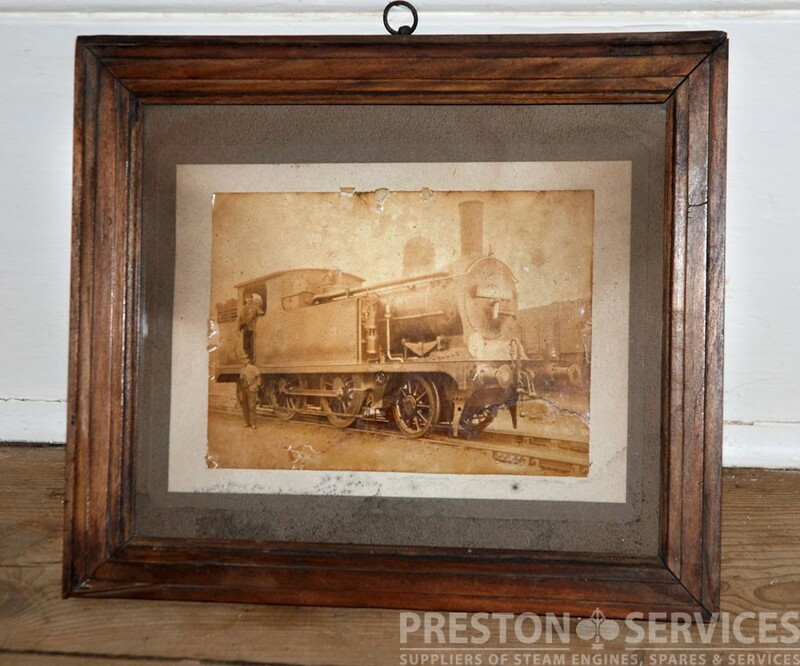 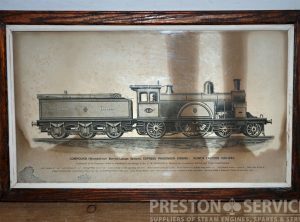 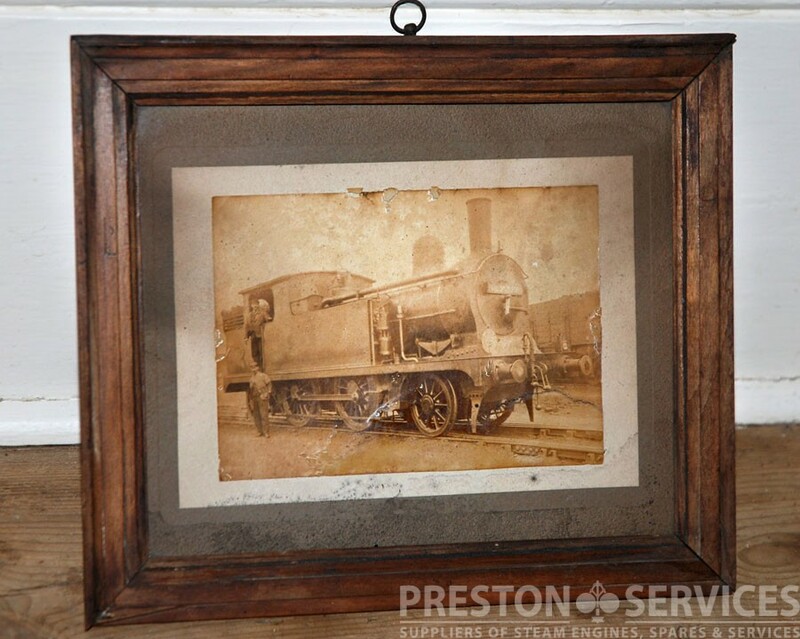 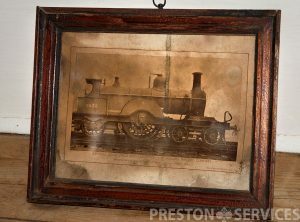 A handsome old framed photo, ex a locomotive works office, of a 2-4-0 locomotive, late 19th century. 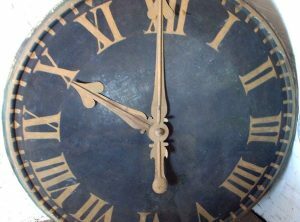 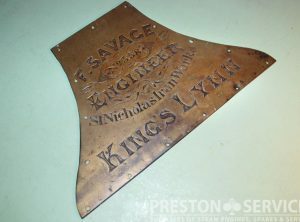 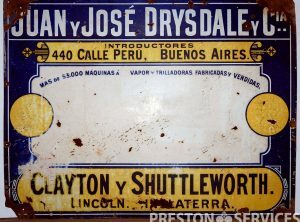 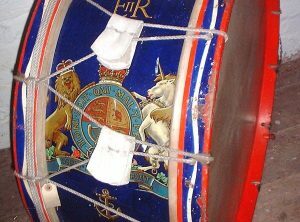 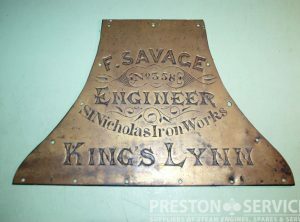 A very rare, steam engine related, enamel advertising sign. 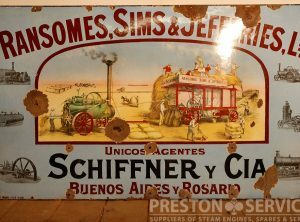 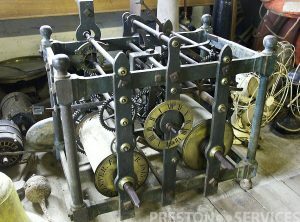 Made for Schniffer & Co, Argenintian agents for Ransomes products, and featuring a particularly handsome cental picture, depicting of a portable steam enigne and thresher in operation. 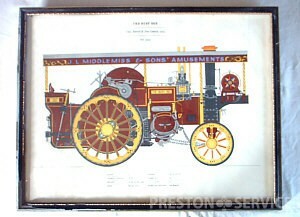 Surrounding engravings of Ransomes products including various types of portable engines, a traction engine and a stationary engine.